A visit to Idyllwild, a small mountain town in California with the prettiest of names, was the starting point in this scent composition. Distillations of Douglas Fir and Ponderosa Pine contribute an aromatic freshness to the fragrance. A road trip further afield in California brings more elements to the table. Wildcrafted sagebrush from Big Sur and Monterey cypress oil capture the aromas that waft through open windows as you drive along the coast. Rhubarb tea provides an unexpectedly tart freshness. Cypriol and oud contribute a campfire smoke note. A unique combination of musks create a compelling drydown that needs to be experienced. So, not a snapshot so much as a sort of collage, constructed from more than one "California experience". It makes sense, then, that Idyllwild does not immediately evoke a time and place, like say, Parfum d'Empire Corsica Furiosa,1 and while most of the brand's imagery for the scent features forest greenery, Idyllwild doesn't fit into the "in the woods" fragrance category either, like say, Sonoma Scent Studio Forest Walk, nor would you slot it right into the "greens" box. Instead, the first thing I thought of when I smelled the sharp citrus-rhubarb opening was Jean-Claude Ellena, although the fir and pine notes that extend the tart fruit and lavender would not be his style, and after the lively opening, Idyllwild moves into a softer, quieter register. Everything in the description — the sagebrush, the cypress, the cypriol — is there, but nothing takes center stage, and it's peaceful, almost meditative, rather than invigorating. It's woody, but it won't make you feel like you're drowning in wood chips: it's as much about spices and herbs and resins, and while it's classified as an aromatic fougère, it's easier to wear than many, and not overtly masculine (I would call it completely unisex). The far dry down has a velvety finish, and just enough weight and warmth to make it feel comforting as nights start to turn chilly. The lasting power is quite good. 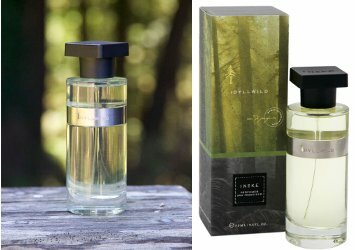 Ineke Idyllwild is $110 for 75 ml Eau de Parfum. For buying information, see the listing for Ineke under Perfume Houses. 1. To be clear, I have spent a fair amount of time in the area around Idyllwild and zero time in Corsica, but when I can put on Corsica Furiosa, I can imagine myself there. Ineke's Idyllwild is a different sort of experience. Note: top image is Laying Among Giants [cropped] by Max and Dee Bernt at flickr; some rights reserved. I will definitely try this one from Ineke. I feel guilty that I don’t like more of them, which I guess is silly? I really do adore Field Notes though. I completely forgot about Field Notes and pulled out my decant this weekend when organizing for the swap meet. Too many decants causes me to loose sight of really good scents like this one! Curious about Idyllwild & the one with the cupcake note! I need to do a serious culling of the decants…I suspect tons of them are spoiled anyway. I met Ineke in person in Florence, she was exhibiting at Pitti so of course I brough a sample of Idyllwild home from the show but I’m yet to give it a try. However – I feel encouraged by your take on the scent that I might quite like it. I frequently dislike pine in perfume, but Idyllwild’s very pretty, and I definitely agree that it’s one of the Inekes that makes a bigger impression. Plus, I was impressed that the fresh sap and pine elements didn’t smell too “environmental” or like a room scent at all. So true about Murphy’s Law of scent! 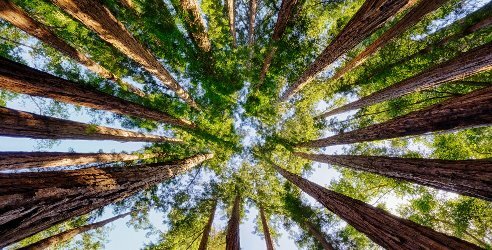 But good point… I don’t want to scare anyone off by using the word “pine.” It’s definitely not overwhelming at all, and I actually quite liked Idyllwild (in case I sounded too critical before). You know, I answered you as though you had not smelled it or as though I was correcting you — brain blurp there because I was worrying over something else, and I am sorry! Your initial comment was right on target and I can’t even figure out what the purpose of my comment was. Obviously time for my afternoon cup of tea…. and I thought you were agreeing with Eleebelle about the pine note in Idyllwild. I haven’t smelled it but you’re both making me want to! Well, I was, but I think I said it oddly! Oh, Jackie — did not know that! Hope it does not take as long as this one did. Sorry Robin- I stand corrected…it is Jack & Jackie with a cupcake note! Oh, cupcake. That’s sort of a surprise! But will also say that Idyllwild was likewise presented at a trade show in 2015, and I was told (no idea if it’s right) that it changed quite a bit between that time and the actual launch. So, we’ll see! It would be interesting as their isn’t really a gourmand in the alphabet series or the floral curiosities. I completely agree with you on Ineke, and how I would love a travel size. But I liked other scents as well, although few of them had the staying power I crave. At the same time, I admire the spareness of the line. I think this one and Field Notes are better lasting than the others, maybe just because they’re both a little deeper / weightier in the base than the rest? I think I got a preview of this on a scent strip at Ari’s and thought it smelled promising. I do want to give it a good try. I likes Field Notes in Paris best, too. To me, it conjures lingering in a French cafe in late fall or early winter — a warm refuge from the cold and damp outdoors, cozy scents of coffee, tobacco, men’s colognes, spirits, maybe a hint of pastry. I also love the bottle. It is worth spending some time with. Hard to beat Field Notes, though. Ooh, thank you for posting that description. I was about to be disproportionately peeved that they were including coastal pine notes for a scent named after an interior community. Funnily enough, Idyllwild air has always had a very distinct smell to me: a light industrial chemical background, a slightly sterile sawdust dust and dry (rather than sweet or sticky) grass at the heart, mingled with something approaching stagnant, but not metallic water. And Ponderosa, naturally. Erm, that description sounds awful when written up, but it’s actually quite pleasant, and very distinct from mountain ranges to its north. Something about the chaparral and desert beneath it waft up to lend something altogether lighter and less claustrophobic than one would weirdly associate with the scent of high elevations. Since the end-game here seems to be more conceptual than realistic, I was surprised at the lack of strawberry leaf, as the strawberry industry once thrived there. I think sometimes maybe we all get too hung up on the conceptual inspirations part — especially when a perfume is named for a geographical place. It’s pretty rare that a perfumer is trying for verisimilitude, although I always liked the idea of Eau de Polder. This review makes me want to try Idyllwild. I like pine and woods, so it seems like it could be up my alley. But I’ve thought that about other Inekes and been disappointed. I wanted to love Field Notes from Paris, but something about it just never sat right with me. I had the sample set when it was A-G, and I didn’t care for most of them. I did like Evening Edged in Gold, and I remember liking Gilded Lily too. Well, I do know that feeling of just not having any affinity for a brand!